Giving hope and life to others! 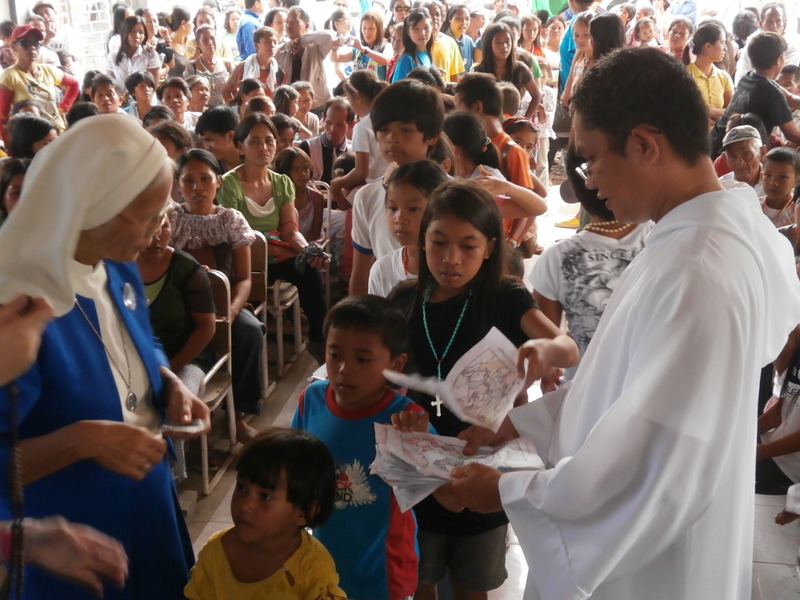 The Marist community together with other religious congregations and lay people went for a 3rd time to give spiritual and moral support to the victims of Typhoon Pablo in Barangay Andap, New Bataan Compostela Valley. 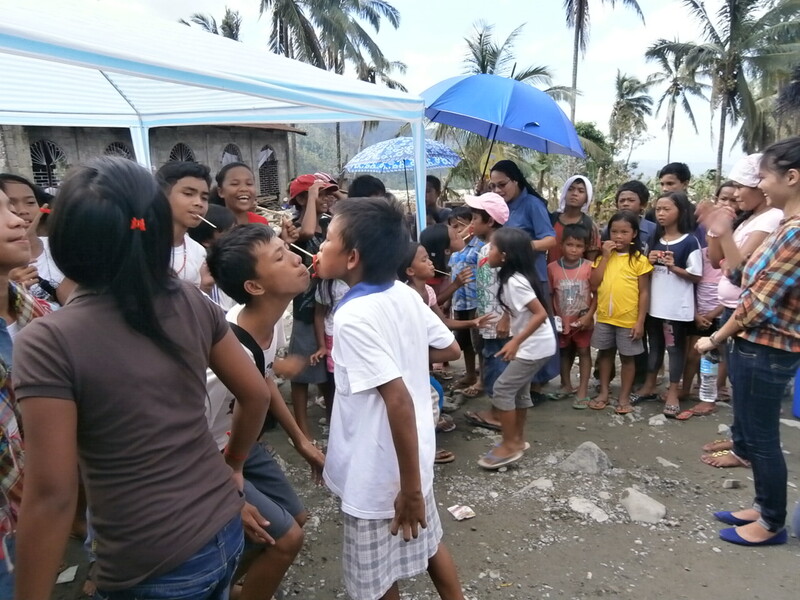 The date 13 January 2013 was significant for it was the 40 days after the typhoon hit the pl ace. 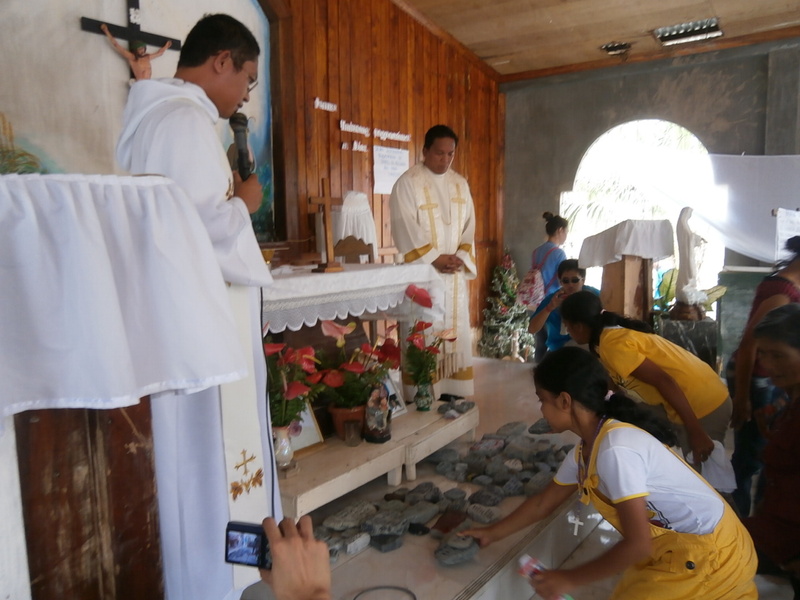 Activities such as the Eucharist, praying the Rosary, lighting of Candles, writing of names of the deceased family members in a stone were highlighted to remember and pray for all the victims who perished in the flood. 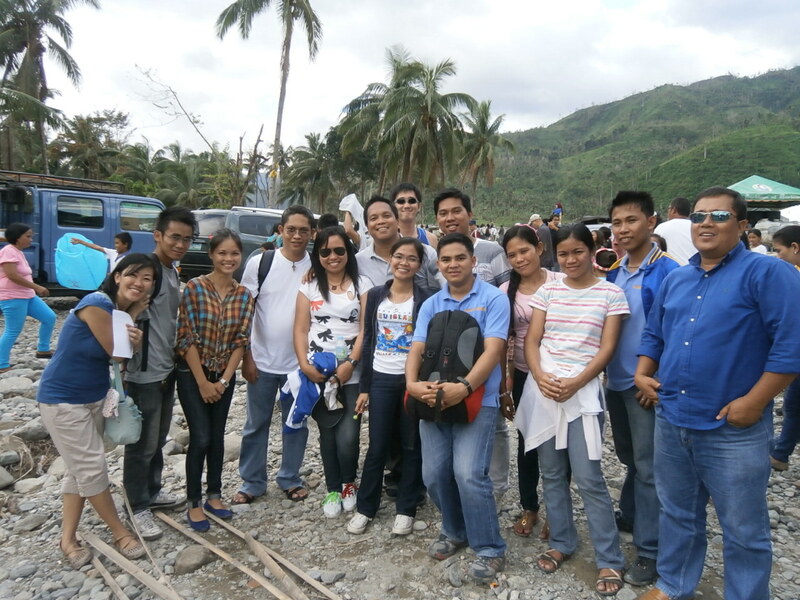 Relief goods were also given to the victims as well food. 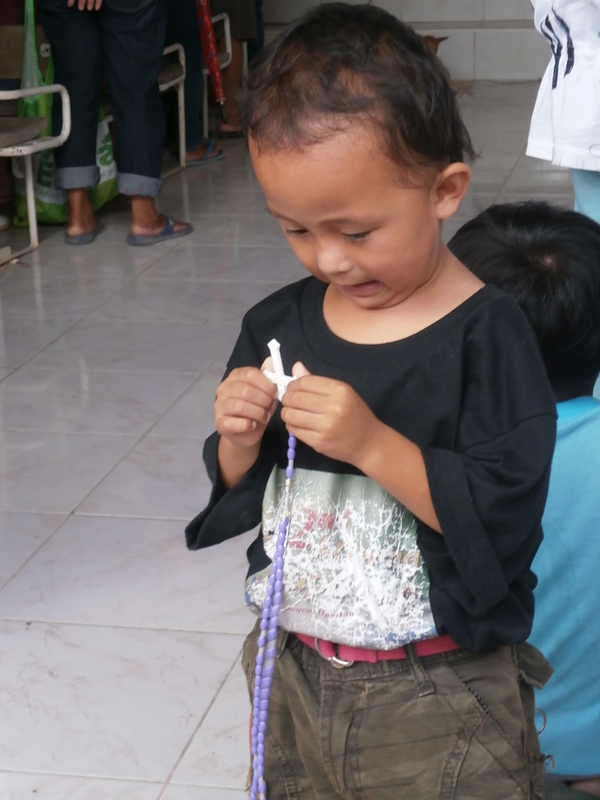 The children too had their own activities such as drawing and games. It was good to see the young children beaming with smile and joy while receiving their gifts and prizes. The Marists are called to be ‘instruments of divine mercy’ and doing things as ‘if hidden and even unknown’ in the world. 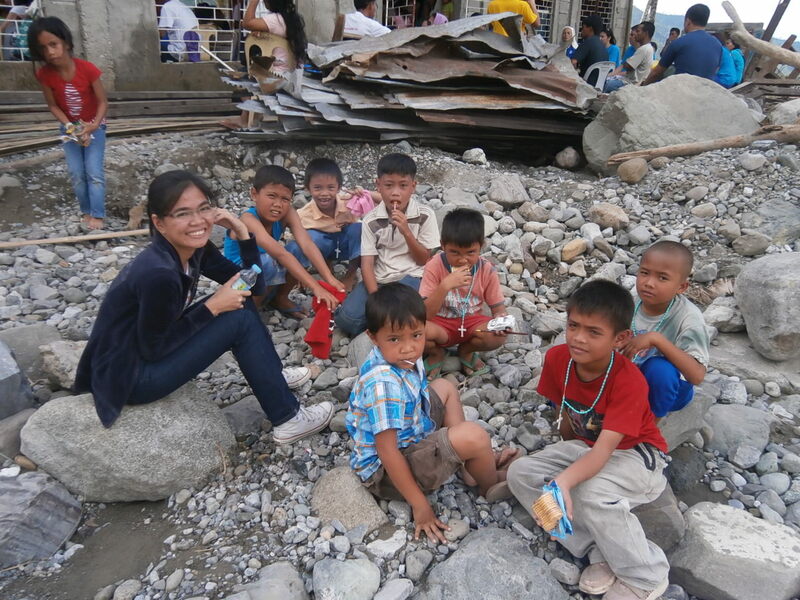 In such a way, they become effective bearers of life and hope to the world in need of love and care. 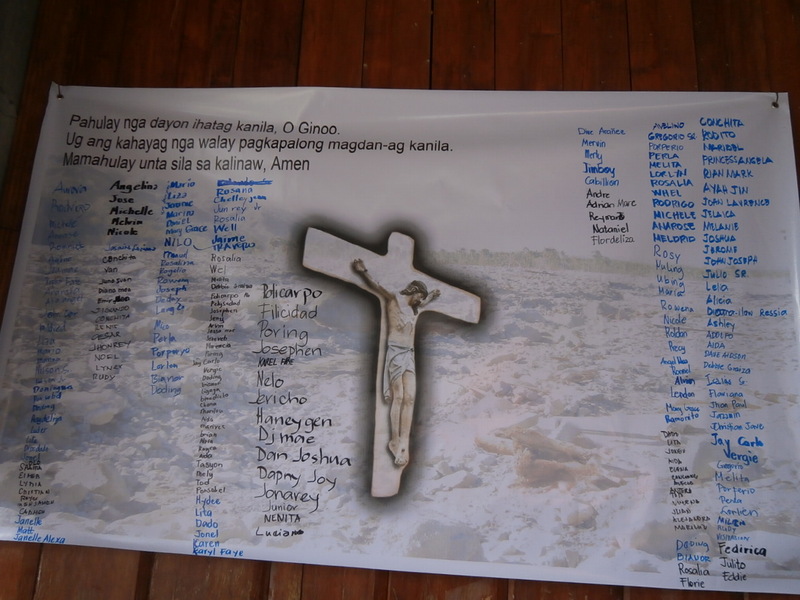 We continue to pray and extend our help to the people of Andap! ← Fr.Philip Callaghan, SM Formation House finally blessed! Greetings from New Caledonia; I just discovered your new site: CONGRATULATIONS and courage for your ministry. Keep going. I remember very well Phil Callaghan!!! God bless.